Rock & Metal 4 You: Album/Song of the year 2012 - # 01! Album/Song of the year 2012 - # 01! Finally we made it to the top spot. You see my personal best album and best song of the year below. Now it's your turn: which record was your favorite in 2012??? 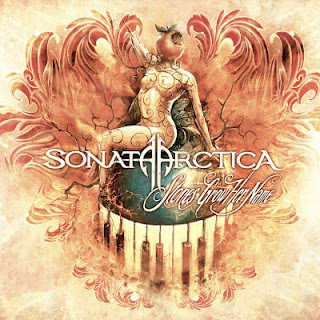 Number 1: SONATA ARCTICA - "Stones Grow Her Name"
What can I say about this album? It's pure perfectionism. 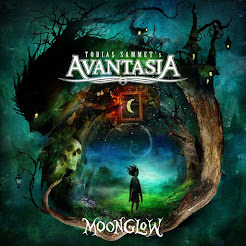 Sonata Arctica stands always for quality music, but with this record they have outdone themselves. What we got here is totally stunning. "Stones Grow Her Name" combines power metal with elements of hard rock, progressive metal, classical music and even country music. The whole thing is so varied. This is partly due to the detail-oriented arrangements and the fantastic harmonies in each song. Every track has to offer amazing melodies and passionate vocal performances by Tony Kakko. He is the mastermind behind this band and one of the biggest songwriters in this genre. Even after listening to it a hundred times, you'll discover new things. The songwriting feels never repetitive. Sonata Arctica managed it to combine elements from their power metal roots with the more progressive style of their latest albums. They've done an amazing job here ... "Stones Grow Her Name" is a melodic metal masterpiece. Get it! Number 1: RICHIE SAMBORA - "Seven Years Gone"
This isn't a real surprise for you, right? I said it already in my live-review: This song is a future classic! It is sung so emotionally. The lyrics give the song so much depth. "Seven Years Gone" is one of the best songs I heard in years. The chorous is stunning ... it touched my heart. Thank you Richie! If you missed a position, at the right side of this blog you see the whole list. CD-Review: Wheels Of Fire - "Up For Anything"
CD-Review: Mob Rules - "Cannibal Nation"
AVANTASIA - first tourdates announced! CRASHDIET touring Europe in May 2013! CD-Review: TRAIL OF MURDER - "Shades Of Art"
Rock & Metal 4 You is now on Facebook! Album/Song of the year 2012 - # 02! Album/Song of the year 2012 - # 03! Album/Song of the year 2012 - # 04! Album/Song of the year 2012 - # 05! Album/Song of the year 2012 - # 06! ECLIPSE - new video to "Wake Me Up"
Album/Song of the year 2012 - # 07! Album/Song of the year 2012 - # 08! Album/Song of the year 2012 - # 09!